Some villains seek to destroy, others to Reign. Warner Bros. Television announced today that Odette Annable will be joining the cast of The CW’s Supergirl in the role of Reign, and will serve as Supergirl’s primary adversary next season. 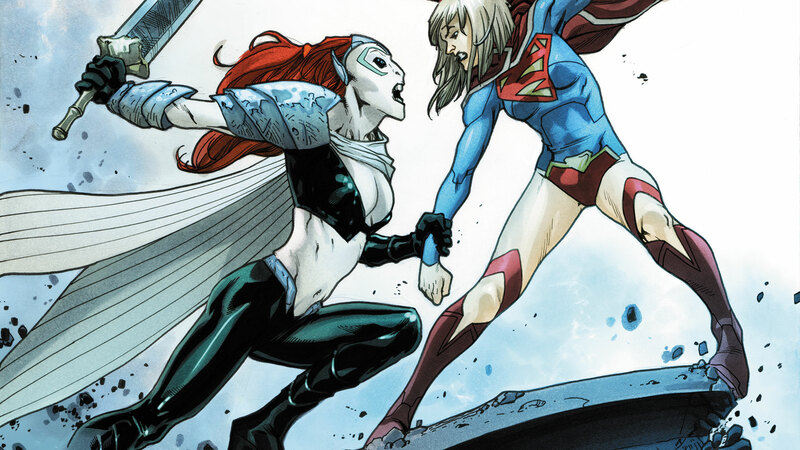 While the prior two seasons have leaned somewhat on Superman characters (or characters from the Super-books as a whole), Reign comes straight from Supergirl’s acclaimed New 52 series, and in fact was one of the first baddies she faced in the relaunch. In that storyline, it was revealed that Reign’s history was tied closely to Krypton. She was one of five “Worldkillers” who were aliens that were captured and experimented on by Kryptonian scientists in an attempt to turn them into powerful weapons. After they awoke and found their captors dead and Krypton destroyed, Reign and three of the other Worldkillers attempted to find their home worlds, but instead wound up on Earth. Unlike previous villains, Reign’s tie to Kryptonian history should present an interesting moral dilemma for Kara to work through: Her people are responsible for their creation. It lends itself to both an exciting and thought-provoking third season. But what do you think, #DCTV fans? Sound off on this latest news in the comments below!